There are many reasons why I find Belize fascinating. I originally thought to make Jorge’s family tied to Belize because I like the name of the country and they have a large jaguar preserve. As I did more research, I found this is a fascinating country. The first thing I learned was that the official language of Belize in English, as it was part of the British Empire until 1981. Why I never knew there was an English-speaking country in Central America? Well, there’s my quality geography education in action. Kudos, Mr. Martin. But I digress. Belize is a mish-mash of cultures. 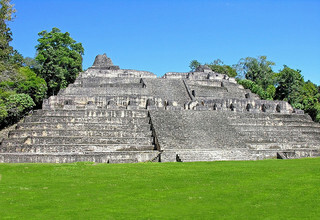 Originally, the land was populated by Mayans. As the Spanish arrived, the Maya went to war with them, overall winning for a good while. Then the British arrived along the coast and began harvesting mahogany. From there, the skirmishes now included the Mayan, Spanish and British, with the British more or less winning. There is a period of about 200 years filled with all manner of territory wars/battles/ treaties, etc. until things settled down in the 1860s with forming of the British Honduras Corporation. Belize was known as a British Honduras colony until they gained independence in 1981. Back to the cultural diversity of Belize: With Europeans and logging, came the use of slaves. According to the Institute for Social and Cultural Research, by 1779, 86% of the population were African slaves. When slavery was abolished in 1838, Chinese were brought in to serve as indentured laborers, and they are still a significant part of the population. 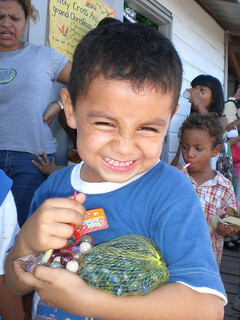 Other ethnic groups sought refuge in Belize over the years, as it was a relatively stable part of the region in more modern times. Many Garifuna (a mix of African slaves and the native Caribs in the Caribbean) started to flee turbulence in Honduras and settled in southern Belize beginning in the early 1800s. The Mestizo (a blend of Spanish and Mayan) arrived in northern Belize after the Caste War in Mexico in 1847. The impoverished workers (who were mostly Mayan) revolted against the wealthy Spanish and Mestizo classes. In the wake of the war, many crossed the border into Belize to make a new life. In the 1950s, a group of Mennonites settled in Belize. They brought their farming expertise to the country, and their community has grown and flourished. The largest ethnic group is the Creole, a mix of European owners and their African slaves. After slavery was abolished, mixed matings became more and more commonplace, until today the Creole are their own unique blend of their African and European cultural heritage. 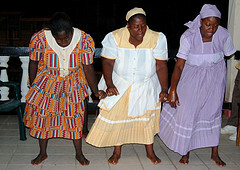 Want to know more about Belize’s history and traditions? I’ll be posting more about Belize in the coming months. Also visit the Institute for Social and Cultural Research.